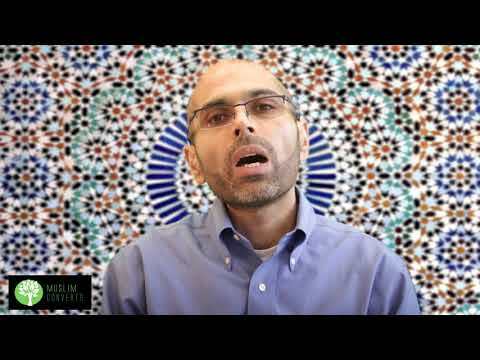 Welcome back to Muslim Converts! In this lesson we’re going to overview the difference between hadith and Sunnah, something which confuses many. We’re then going to look at the role of the hadiths in the creation of Islamic law, and some of the different kinds of hadiths that exist out there. This lesson won't be about hadith reliability, that's for our next lesson! Hadiths and Sunnah are often confusing terms for Muslims and non-Muslims alike. The distinction between the two are sometimes hard to make so what we’ll try to do here is try to unwrap some of these concepts so as to get a better understanding going. Sunnah means tradition and practice. As such, Sunnah refers to the practice and teachings of the Prophet Muhammad (s) and at times, that of his Ahl al-Bayt (as). Of course, everything the Prophet did was his own Sunnah, but in technical terms, sunnah refers to the good practices the Prophet did that are not necessarily obligatory. So, for example, one of the “sunnahs” of the Prophet was that he used to brush his teeth before prayer. The following hadith is an example of Sunnah. A companion of the Prophet related that the Messenger of Allah (s) would get up during the night and he would clean his mouth thoroughly with a brush. Brushing teeth would therefore be called “Sunnah mustahabba” meaning “recommended Sunnah.” Some Muslims are under the impression that every Sunnah of the Prophet (s) is necessarily recommended, but according to the school of Ahl al-Bayt (as), that is incorrect. There are practices of the Messenger of Allah (s) that from an Islamic perspective are neutral and would not necessarily be mustahabb. For example, the Prophet (s) used to ride a camel which in a broad understanding would be considered a Sunnah of his, but this does not mean that it is recommended for Muslims to ride camels. Riding camels would be considered neutral and if anything, looked down upon in Islam if it acts as an impediment in one’s life given that cars now exist! So how do we know what is recommended and what is not? We know a Sunnah is recommended from a religious perspective when the Prophet (s) himself emphasized on people practicing it, or when the Ahl al-Bayt (as) notified us of its recommendation. So what are hadiths and how are they different from the Sunnah? Hadith means “saying,” in other words, it refers to the transmitted sayings of the Prophet (s) and his Ahl al-Bayt (as). When we say transmitted, we mean that they were transmitted by a chain of people who heard the teachings of the Prophet and related it down onwards to other people until it was compiled into a book. So as the Sunnah refers to the practices of the Prophet, the hadiths are the vehicles through which much of the Sunnah is transmitted to us from. Now whether or not hadiths are reliable is a discussion we will follow up on in the next lesson. Remember that the word hadith literally means saying so it can also be another word for the saying of the Prophet as opposed to Sunnah which may refer to a practice instead. These multiple distinctions in so far as their several meanings are concerned are important to take into consideration. The best way to know is to look at the context of the hadith. We know that the Qur’an is the literal word of God, however, not everything God has said is in the Qur’an. These sayings or words of Allah were transmitted to us by the Prophet and made themselves not into the Qur’an but into the hadith books. These hadiths, as they are originally from Allah, are called Hadīth Qudsī, that is, Holy Hadiths! Hadith means “saying,” in other words, it refers to the transmitted sayings of the Prophet (s) and his Ahl al-Bayt (as). When we say transmitted, we mean that they were transmitted by a chain of people who heard the teachings of the Prophet and related it down onwards to other people until it was compiled into a book. So as the Sunnah refers to the practices of the Prophet, the hadiths are the vehicles through which much of the Sunnah is transmitted to us from. Are hadiths available in books?